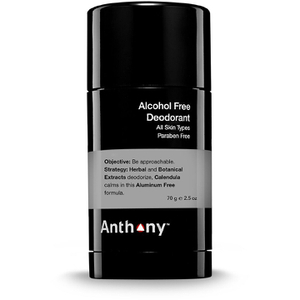 Developed for Men. 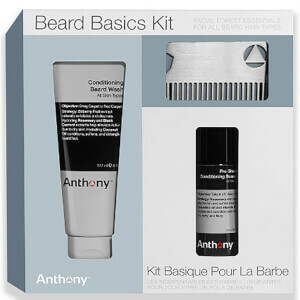 Borrowed by Women. 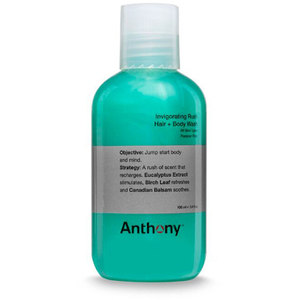 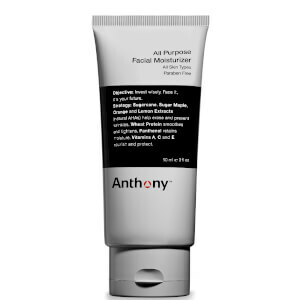 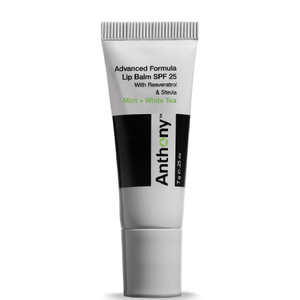 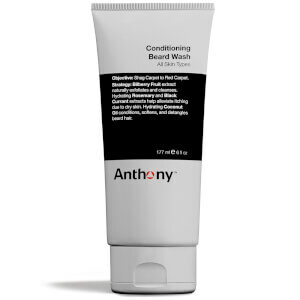 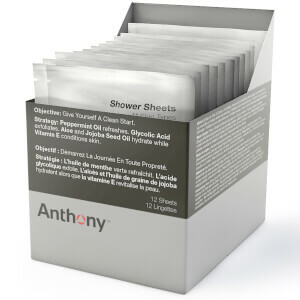 For over a decade, Anthony Skincare for men have researched and developed a range of unique products, using expert knowledge to specifically target male skin care. 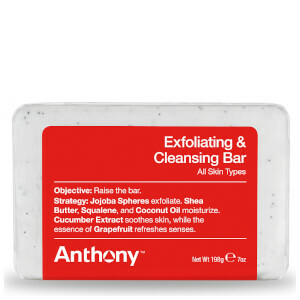 Featuring skincare, bath and body products with specifically chosen unique ingredients that hydrate, nourish and invigorate your skin from head to toe. 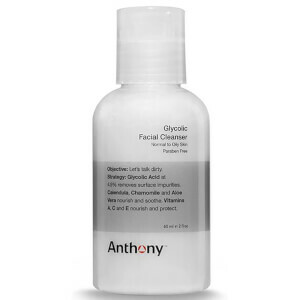 Discover a range of cleansers, moisturisers, toners and special treatments like gels, serums and masks that specifically target male skin to give you brighter, smoother and healthier looking skin. 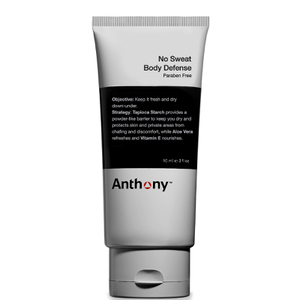 Working from head to toe, discover formulas that work on every part of your body to cleanse, tone and nourish skin to give yourself a natural and healthy complexion. 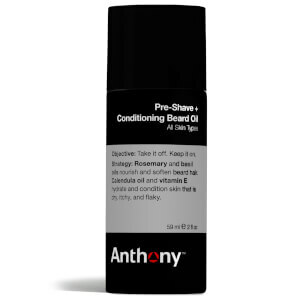 Also featuring a range of supplements that have been specifically developed to provide you with optimum health, this brand also boasts superb shaving products in the form of shaving foams, gels and oils. As the best selling product in the Anthony Skincare range, this facial cleanser is the perfect addition to your skincare regime. 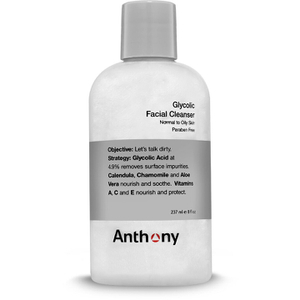 With 4.9% Glycolic Acid, this daily cleanser ensures that your pores are kept clear and daily grime is washed away with each use. 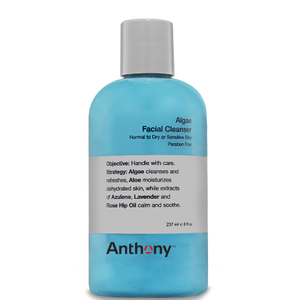 Aloe Vera also helps to soothe your skin and moisturise to ensure a supple, soft complexion every day. 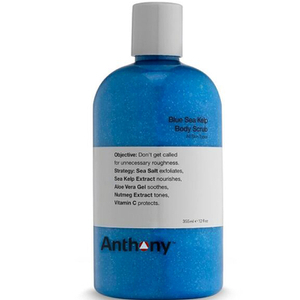 Simply use a small amount and massage in to damp skin to create a light lather, then rinse off with warm water. 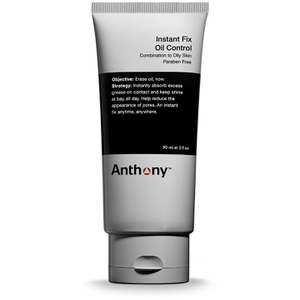 Follow with your favourite moisturiser from the Anthony Skincare range.